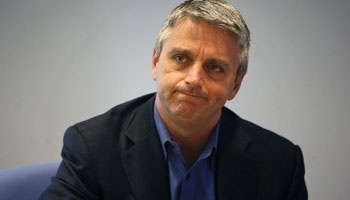 EA Chief: Traditional Dev Cycle is "Gone Forever"
Electronic Arts CEO John Riccitiello says the rapid evolution of the game industry means that the "four to five year console cadence" we're used to is gone forever. Speaking to investors following the release of EA's first-quarter financial results, Riccitiello noted that the industry has changed dramatically over the past couple of years, creating an environment in which the traditional console development cycle can no longer hold. "Most of us recognize that the industry has radically changed and the pace of change has accelerated dramatically," he said. "Gone forever is the four to five year console cadence that gave developers ample time to invest and retool for the next big wave." "Consider that just 18 months ago, there was no iPad, Google was just experimenting with Android and most big games were limited to a single revenue opportunity at launch," he continued. "Consider that each of the major consoles now has a controller that encourages users to get off the couch and get into the action." He noted the shrinking relevance of conventional retail sales, pointing out that digital distribution is the fastest-growing revenue stream across all platforms, and that the top-selling apps on smartphones and tablets are all games. "While the game industry has fundamentally changed, games are reaching a far larger audience base than ever before," he said. EA put up very solid results for the first quarter of its 2011 fiscal year, with profits of $221 million on sales of $999 million, compared to $815 million in sales and $96 million in profit over the same period in the previous year.